In 1964, Luther Terry, M.D., the 9th Surgeon General of the United States, issued a landmark report when he said this: Smoking cigarettes could lead to diseases like lung cancer, chronic bronchitis, emphysema, and cardiovascular disease. Of course that sounds totally obvious today, but the idea that such a popular habit could be deadly threw Americans for a loop back then. 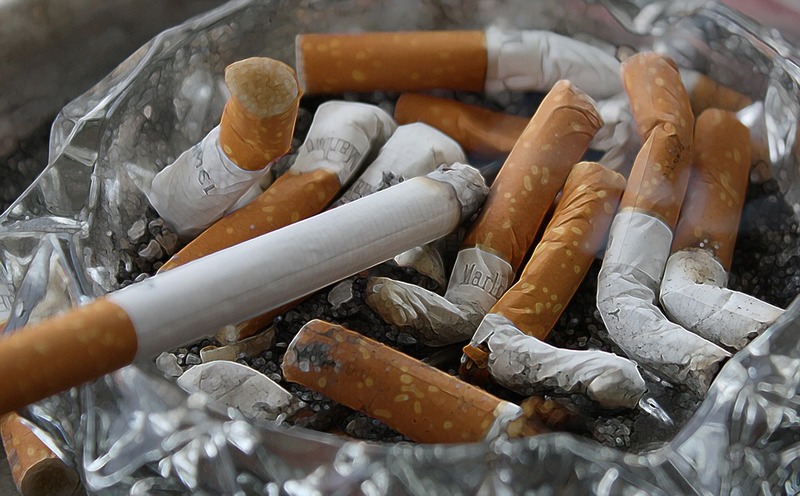 After all, a whopping 42 percent of U.S. adults smoked in 1964. Thanks to more than 50 years of medical research that confirmed Dr. Terry’s initial report and completely changed the way we think about smoking—and our health—that number is now down to 18 percent. And a report in JAMA estimates that 8 million lives have been saved since Dr. Terry’s message. But here’s the bad news: 18 percent is still a ton of people—approximately 42 million. People still need to stop smoking now, especially since the studies linking cigs to deadly diseases aren’t getting any less grim. Fortunately, if you count yourself among those 42 million people, it’s never too late to quit smoking now. Start with these five proven strategies to help you quit smoking, then thank the good Surgeon when you’re living a healthier, longer, nicotine-free life. 1. Lace up your sneakers and hit the pavement. People who exercise when they crave cigarettes are more likely to overcome the urge to smoke, finds a report published in the journal Addiction. Researchers say exercise could distract you from thinking about taking a puff, and breaking a sweat may lift your mood and boost your feelings of self-control, reducing your impulsiveness. 2. Quit smoking in 140 characters or less. Smokers who share their struggles via social media are more successful at quitting—and staying clean—than those who seek support offline, finds University of Georgia research. Flocking to Facebook can help you link up with like-minded others over a common goal, and the more connected you feel, the more you believe you can curb your cravings. 3. Pick up some produce. Eating more fruits and vegetables could help you quit smoking and stay tobacco-free for longer, according to a 2012 study from the University at Buffalo. Hankerings for cigarettes and foods are closely linked and confused with one another, the researchers say. By eating a diet with higher fiber content, you’ll feel fuller and avoid craving confusion. 4. Get a milk mustache. Milk lends a funky taste to cigarettes. Duke researchers found that smokers were less likely to smoke with the aftertaste of moo juice in their mouth. Your move: Add more dairy to your diet. It’s a potent source of protein. Related: The Better Man Project—2,000+ Tips to Help You Live Your Healthiest Life Possible! 5. Open up the app store. Download Quitpal (free for IOS), an app from the National Cancer Institute. Among other features, it helps you track the money you’re saving and connects you with social media networks so friends can help you stay on track. It will even send you encouraging texts, which can double your likelihood of quitting, according to a study in The Lancet.